Interpret "Michael Collins & Michael McHale"
is one of the most complete musicians of his generation. With a continuing, distinguished career as a soloist, he has in recent years also become highly regarded as a conductor and in 2010 took the position of Principal Conductor of the City of London Sinfonia. Recent guest conducting and play-directing highlights have included engagements with the Philharmonia Orchestra, Academy of St Martin in the Fields, Ulster Orchestra, and the HPAC Orchestra in Kyoto, Japan. This season Michael will also conduct and perform wth the BBC Symphony Orchestra in a studio concert and work with the Kymi Sinfonietta and Franz Liszt Chamber Orchestra for play-direct programmes. He also and makes his debut with the Orchestre Philharmonique de Strasbourg, playing and directing a programme of Mozart, Weber and Rossini. As a soloist, he will work with the Charlotte Symphony and the City of Birmingham Symphony Orchestra. Future plans include OSESP Sao Paulo, as well as a return to the Adelaide Symphony Orchestra. 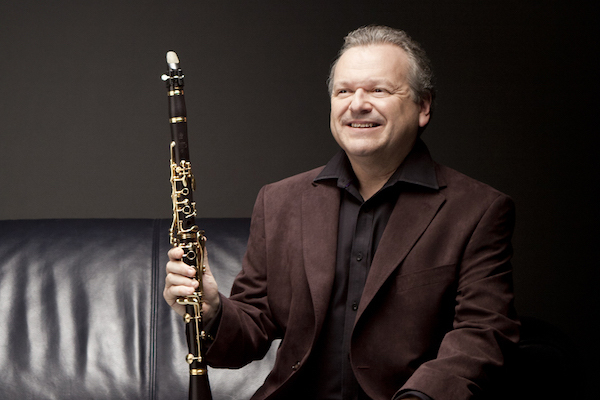 Michael Collins has been committed to expanding the repertoire of the clarinet for many years. He has given premières of works such as John Adams’ Gnarly Buttons, Elliott Carter’s Clarinet Concerto - for which he won a Gramophone award for his recording on Deutsche Grammophon - Brett Dean’s Ariel’s Music and Turnage’s Riffs and Refrains, which was commissioned by the Hallé Orchestra. Collins has gone on to perform Turnage’s work with the Residentie Orkest, Royal Flanders and Helsinki Philharmonics, as well as the London Philharmonic Orchestra. Collins has received the Royal Philharmonic Society’s Instrumentalist of the Year Award in 2007 in recognition of his pivotal role in premièring repertoire by some of today’s most highly regarded composers. In great demand as a chamber musician, Collins performs regularly with the Borodin and Takács quartets, András Schiff, Martha Argerich, Stephen Hough, Mikhail Pletnev, Lars Vogt, Joshua Bell and Steven Isserlis. His ensemble, London Winds, celebrated its twenty-fifth anniversary in 2013 and the group maintains a busy diary with high calibre engagements such as the BBC Proms, Aldeburgh Festival, Edinburgh Festival, City of London Festival, Cheltenham International Festival and Bath Mozartfest. 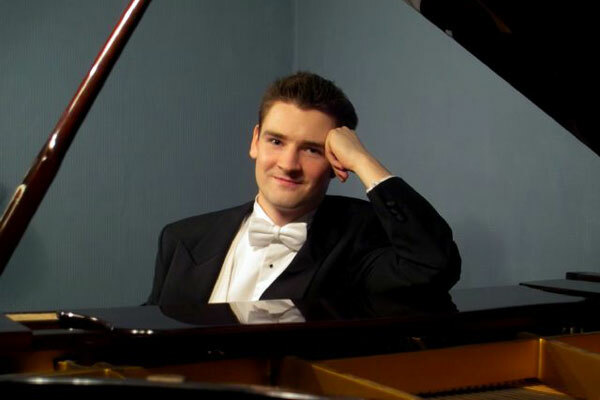 He has a regular relationship with the Wigmore Hall and was one of their Artists in Residence in 2015/16, which includes concerts with London Winds and Christine Rice, Ailish Tynan and with the Borodin Quartet – with whom he will also work at the Cite de la Musique in Paris. Collins is also Artistic Director of the Liberation International Music Festival in Jersey. 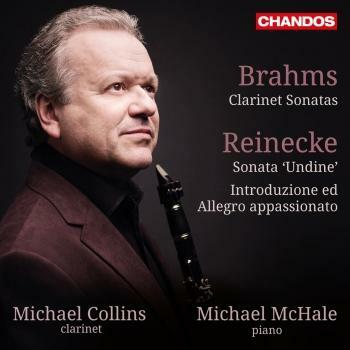 Michael Collins records exclusively for Chandos and has covered a wide range of repertoire in his prolific recording career, which also includes releases on Deutsche Grammophon, Decca, EMI and Sony. 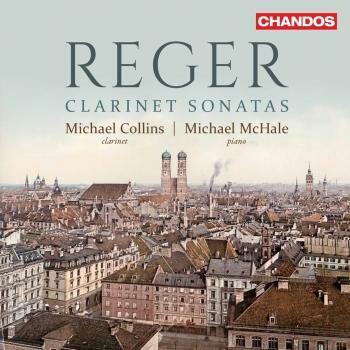 Recent releases include a disc of British Clarinet Concertos with the BBC Symphony Orchestra which features Collins as soloist and conductor, as well as a disc of Brahms and Reinicke Clarinet Sonatas with pianist Michael McHale. Collins’s 50th Birthday was celebrated with a Chandos release of Weber Concertos conducted and performed by himself with the City of London Sinfonia. He has also recorded concertos by Corigliano, Adams, Carter, as well as Spohr, Copland and of course Mozart. In the Queen’s Birthday Honours of 2015, Michael Collins was awarded an MBE for his services to music. He plays exclusively on Yamaha clarinets.